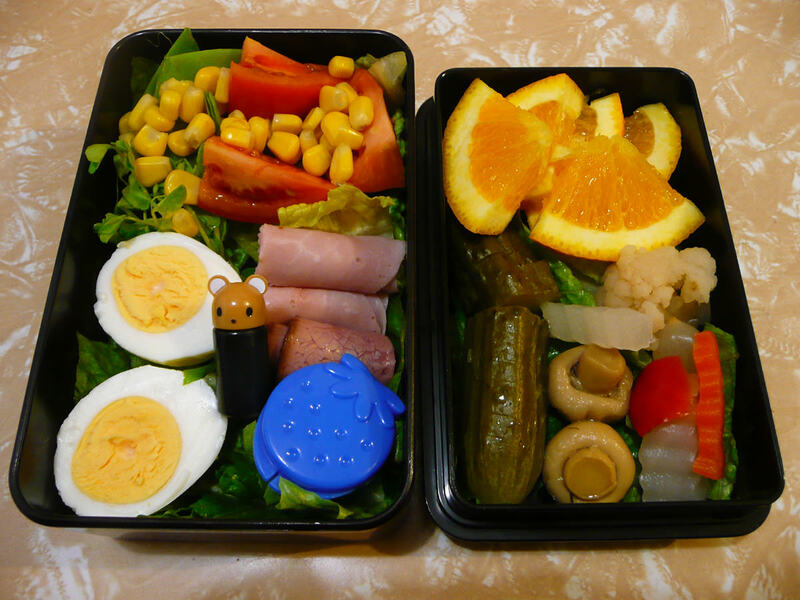 I was very pleased with these bento boxes I put together for us. 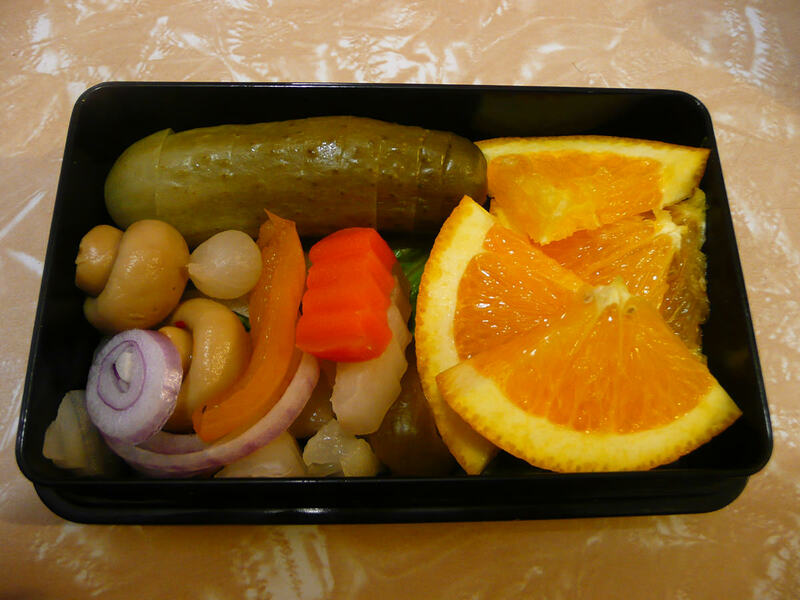 I’d asked Jac what she’d like for lunch, to which she said, “Cold meat, salad and pickles.” That’s exactly what I packed us – with a few extra bits and pieces. 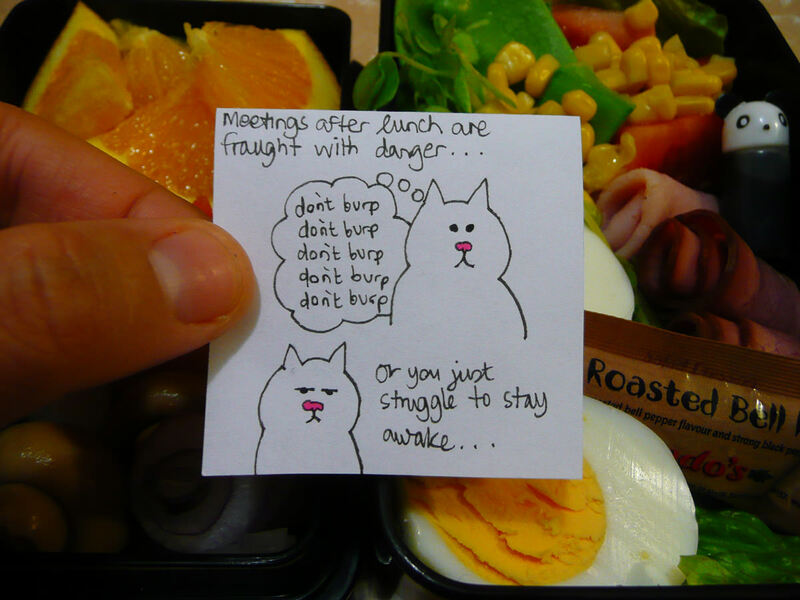 This was my lunch. 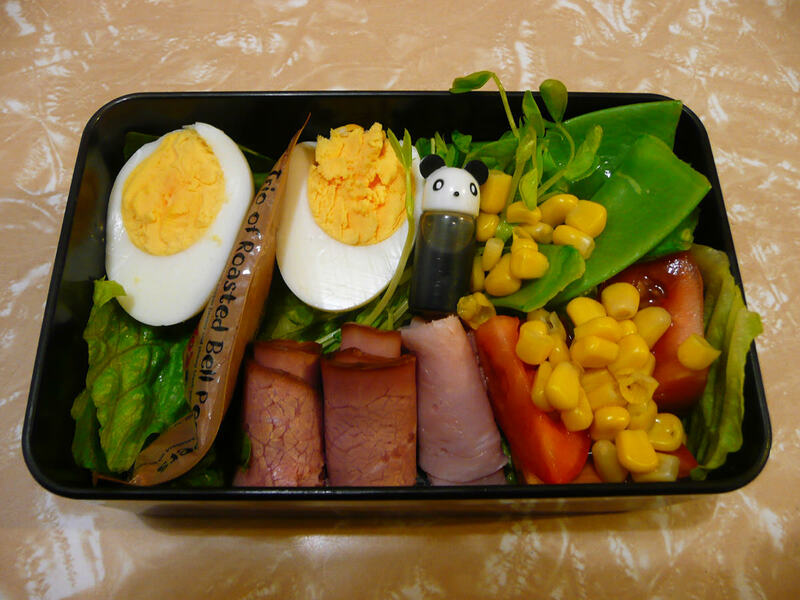 On the left: hard-boiled egg, salad (lettuce, snow peas, tomatoes, snow pea sprouts and corn kernels), honey ham and roast beef, with a little blue strawberry container of aioli to go with the salad, and a little animal sauce bottle of soy sauce to go with the hard-boiled egg. 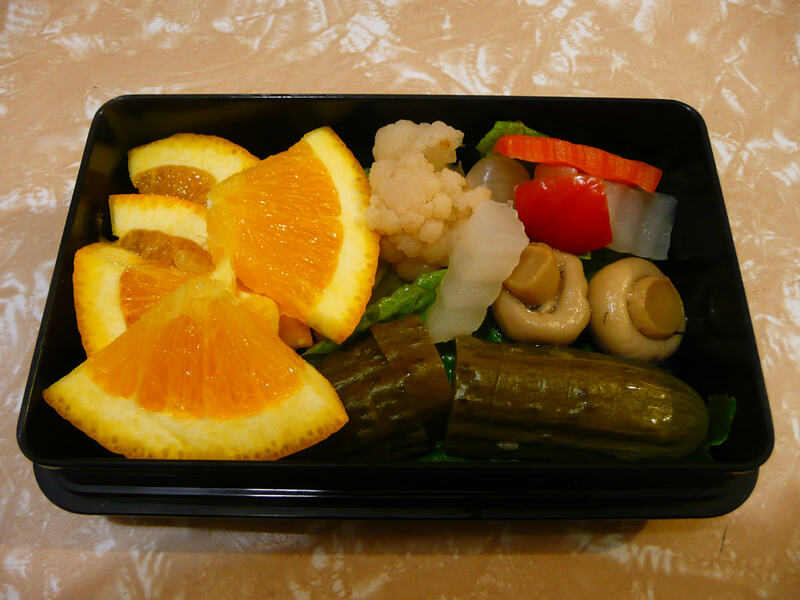 On the right: pickles on a bed of lettuce – gherkin, giardenera (Italian pickled vegetables, which we buy in a jar) and marinated mushrooms, with orange wedges to finish. Jac’s lunch was much the same, but I included a couple of extras I didn’t have – fresh red onion rings and a sachet of Nando’s Trio of Roasted Bell Pepper salad dressing. She got two rolls of roast beef and one of honey ham. Not that I want to toot my trumpet :), but I just loved the colours, the different textures, and the freshness of it all. I cut the pickles so they’d come apart into easy to eat slices. The eggs were a little more hard-boiled than we usually have them, but they tasted great with the soy sauce. That’s one of my simple pleasures. I have mini salt and pepper grinders at work – I love hard-boiled egg topped with freshly cracked black pepper and a good splashing of soy sauce. Jac was thrilled with all the pickles – pickles are among her favourite foods of all time. It can be pickled anything – she’ll give it a go and probably love it. 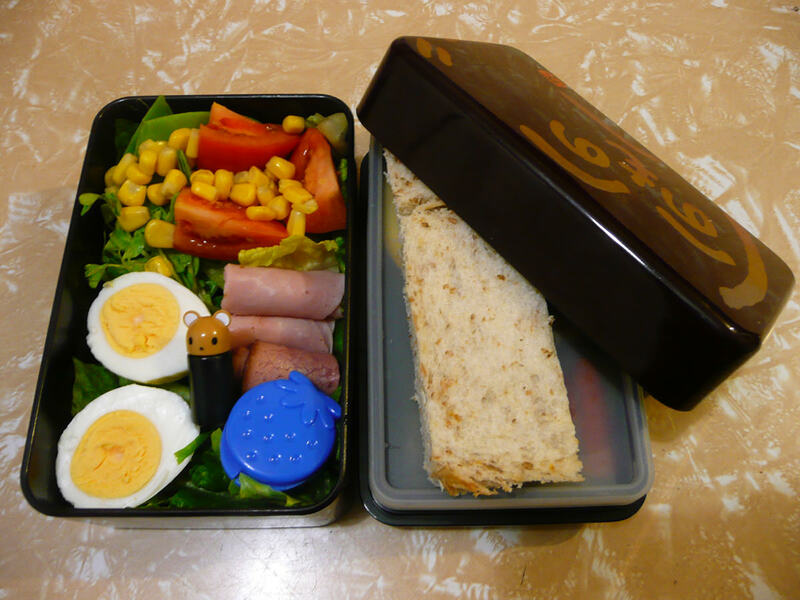 I’ve mentioned before Jac likes to have bread with her meals where possible – so I’ve been packing a little bread and butter with her bento lunches whenever I can. Another good thing about these particular Japanese bento boxes is you can fit the bread and butter on top of the two tiers, just under the lid. The little strawberry container is one of a set of four sauce containers I bought from JBox. They’re Ciao! Colorful Animal & Fruit Mayonnaise Cups. The animal sauce bottles (I used a panda and a mouse this time around) are also from JBox. They’re part of the lunch animal sauce dispenser set. Note: JBox appear to be currently out of stock of this item. 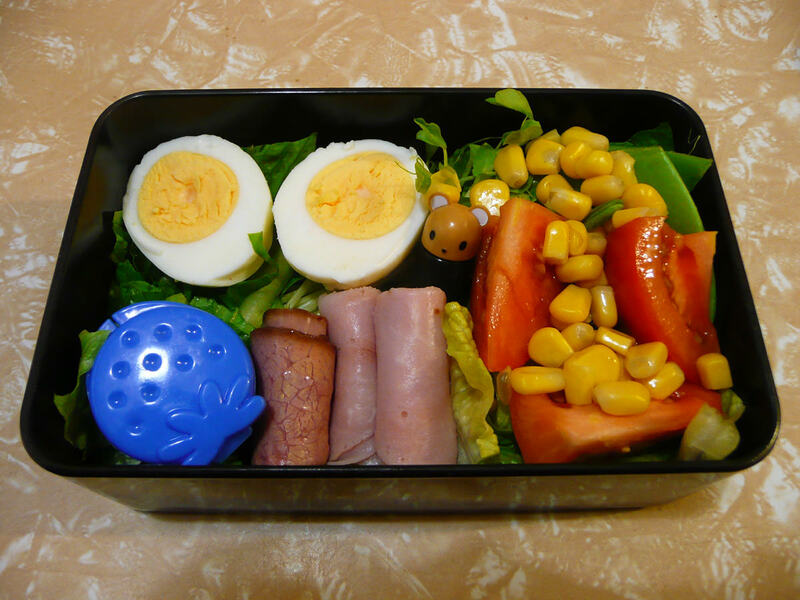 If you search eBay, you are bound to find these for sale, though – they’re a very popular bento item. 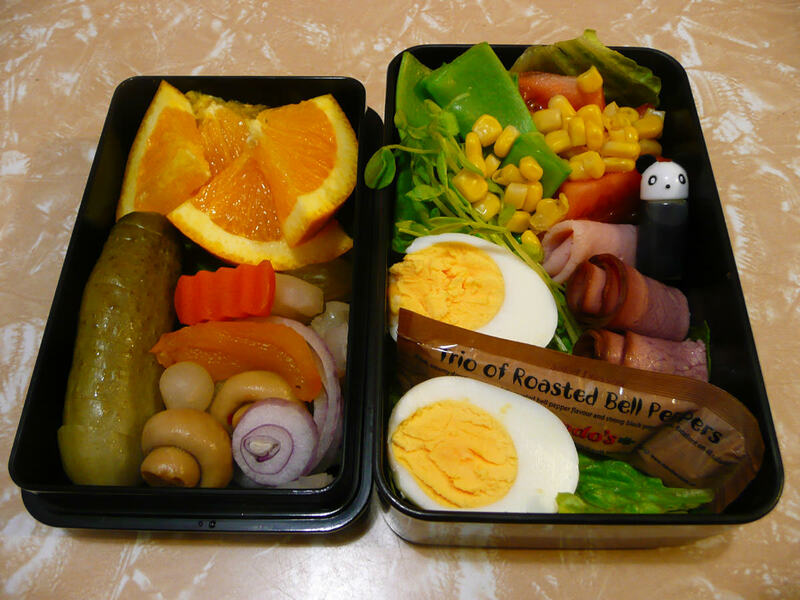 The bento boxes were purchased from eBay.